Domaine Costa Lazaridi is a beautiful estate, located in the village of Adriani, about 5.5 kilometers southwest of Nikiforos and about 11 kilometers east of Drama, the capital of the eponymous Greek wine region. Founded in 1992 by Costa Lazaridi, the estate was designed by the local artist, Yianni Nanos, who also created the paintings that grace the Estate and the labels of its wines and spirits. It was named “Chateau Julia” in honor of Costa’s lovely wife. It all started 25 years ago from a small company created by the Lazardi family, which started producing small quantities of wine; then evolved rapidly with the growing love and dedication to vine cultivation and wine, which consequently led to the decision to organize and expand this activity. Starting with a small 10-hectare vineyard, Domaine Costa Lazaridi now owns over 200 hectares, one of the biggest private linear vineyards in Greece, allowing complete self sufficiency and autonomy. The meticulously maintained vineyards are planted with the most well known Greek varieties, such as Assyrtiko and Limnio, along with international grape varieties such as Sauvignon Blanc, Chardonnay, Cabernet Sauvignon, Merlot and Syrah; all carefully controlled to produce low yields to ensure the best possible quality of raw material. The fertile Macedonian land, the ideal microclimate and the low yields, allow to produce excellent grapes for the award winning “Amethystos” and “Chateau Julia” wines. To ensure the best possible quality, Domaine Costa Lazaridi uses the most advanced technology, including a fully equipped laboratory, pneumatic presses, stainless steel tanks with electronic systems for temperature control, automatic bottling machines, and air-conditioned underground ageing and storage facilities. The ageing cellar for red wines is one of the most important areas of the Estate, where the wines stay between 12 and 18 months in 225lt oak barrels. The estate has 100 full time employees as well as several seasonal staff. They also co-operate with well known French University Professors in the area of vine cultivation and oenology who visit the estate and offer their council in their area of expertise. The first bottles were marketed in 1992: Amethystos white, Amethystos Rose and Amethystos Red. Later two more wines were added to the Amethystos family, Amethystos Fume and an aged red, Amethystos Cava, which was followed by a new family of wines the Château Julia with five varietal wines (Chardonnay, Chardonnay Oak, Semillon, Asyrtiko and Merlot. The new addition is the Domaine Costa Lazaridi family with a dry and a sweet Viognier and a Syrah. All these wines, vintage after vintage, constantly receive award, accolades and world class recognition from the trade, the press and more subtly from the consumers. The Estate’s facilities also include one of the most modern distilleries in Greece, if not the world. Unique spirits come to life drop by drop inside ultra modern copper stills. Attention to details ensures the excellent quality of "Eau de Vie" Methexis Muscat distillate, and Idoniko Tsipouro (grappa). The strict selection specifications for the raw materials in combination with multiple distillations using fractional columns assure the finest taste, aroma and quality. Also just 30 minutes from Athens a new complex in Kapandriti, Attica - Oinotria Land - has been created by Costa Lazaridi. It includes a small winery supplied by a 20 hectare organically cultivated vineyard next to lake Marathon, a Museum detailing the past and present of winemaking, distillation and vinegar making (a small corner pictured to the left), as well as conference facilities, a church for weddings and baptisms, and reception facilities. The Kapandriti facilities are stunningly beautiful, and were also designed by the famous artist-architect, Yianni Nanos. Made from 60% Refosco, bringing the Italian Mediterranean temperament, and 40% Agiorgitiko, the Greek lord of grapes, this Drama red wine is like a first growth Bordeaux from Greece, despite the price which is much more reasonable. This magnificently well crafted dry red blend possesses a dark red garnet color with violet hue. Fragrant and complex, the nose boasts aromas of wild cherries and berries fruit, intermingled with earthy, mineral notes and hints of oak, coconut and mild chocolate. Full and rich with harmonious acidity that keep it in focus, the balanced palate presents great texture, depth and structure with present yet integrated silky tannins, which will allow for good ageing potential. The long finish is laced with notes of oak, earth and spice. Decanting is definitely recommended, as this wine still encompasses certain youthful characters and need to breathe. Pair it with earthy Mediterranean dishes, grilled red meats and vegetables, and cheeses. I love it. Located between Valence and Lyon, Cave de Tain lies at the foot of the Hermitage hillside. At the heart of the historic northern Rhône vineyards, the Cave produces and markets 5 “cru” wines and single varietal "Vins de Pays" from over 1000 hectares of vines located in the 5 major appellations, making it the leading producer of “cru” wines in the northern Rhône Valley. The estate of "Cave de Tain" was founded in 1933, as a cooperative, by 100 winegrowers from the district of Tain l'Hermitage. Its first president Louis Gambert de Loche was a land owner and a great humanist, from whom the Cave de Tain purchased the Hermitage vineyards. Today the Cave de Tain has 370 grower-members and a total vineyard area of 1,140 hectares, of which 1,000 hectares are A.O.C. wines. These wines are made according to long standing Rhône Valley traditions, and faithfully respect each appellation's specific "Terroir". The volume of these five wines vinified by the Cave de Tain represents almost half of the total volume of all northern Rhône AOC wines produced. The Cave also produces single varietal vins de pays wines from Syrah and Marsanne grapes grown on the outskirts of the appellation areas in the northern Rhône hills. The wines of the Cave de Tain are recognized for their quality. The objective of the Cave is to provide wine lovers around the world with authentic wines which bear the full character of their individual " Terroir ", bringing out the best through careful and non-intrusive vinification methods. The winemakers supervise each stage of vinification, from grape reception, classified according to quality, right up to bottling. The cellar team makes every effort to respect the inherent characteristics of each vintage, to ensure a harmonious and natural finished product after vinification. In this highly traditional vineyard, successive generations have contributed to the growth and development of the winery by producing grapes of a quality they strive to constantly improve. The Crozes Hermitage appellation is Cave de Tain specialty, since it produces nearly 50% of it. Careful selection of grapes depending on the origin, maturity and quality of grapes. All grapes are destemmed, then macerated in vats for 8-15 days under controlled temperature. 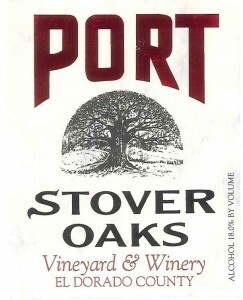 The resulting wine is partially aged in oak barrels for 12 months. 30,000 bottles produced. This cuvée is a blend of the best "terroirs" of the appellation and reveals the different facets of it. The vines are 20 years old at least, yielding about 35 hl / hectare. The soil is a mix of pebbles made of fluvio-glacial alluvium that are stony, warm and filtering, hence creating good drainage. The weather is extremely dry in the summer favoring healthy and early maturing of grapes. Made from 100% old vines Syrah, this wine presents a deep and dark garnet color. The nose is quite complex and fragrant with ripe blackberry and wild berries aromas, with earthy hints of dark cherries and mocha. The palate offers a generous mouth-feel with similar notes. Well-structured and balanced, the mid-palate and finish are fine grained, with present yet integrated tannins. The finish is long and persistent on cherries, liquorice, mocha and spices notes, and slight herbaceous traces. A bit tight at first, just after opening, it will need 20-30 minutes of aeration, decanting is definitely recommended. The structure and texture suggest very good ageing potential and reflect its youth.This wine has been only lightly filtered and may form a natural deposit. Wait for it a bit, 2-3 years, or decant it and enjoy it over red meats, herb roast poultry, cooked pork and cheeses. A racy and Terroir oriented wine that may not have the elegance and depth of some of the more renown names of this area, yet it is an excellent quality / price ratio at $25. People that know me well will always tell you that my wife and I are very fond of Savoie's wines. It is due to the minerality and the texture of the wines. There are always so versatile, focus, extremely enjoyable and so easy to drink. The following producer should be more well known for his wines, I invite you to discover them whenever you have the chance. Roussette de Savoie is an Appellation d'Origine Contrôlée (AOC) for white wine in the Savoie wine region of France. The AOC covers much of the Western part of the Savoie AOC for wines made at least in part from the regional grape variety known as Altesse (or Roussette). Typically wines that are designated merely as Roussette de Savoie AOC (rather than with some specific Cru) are blended with up to 50% Chardonnay, although those marked specifically as “Altesse” will be made from this grape exclusively. The wine's high acidity gives it the potential to age. These dry white wines typically have a nose of violet and mountain herbs with flavors of minerals, bergamot, honey and hazelnut. Geographical (village) designation, or “Cru”, within the Roussette de Savoie AOC includes Frangy, Marestel, Monterminod and Monthoux. Wines bearing these Cru designations are made from Altesse exclusively. The best vineyards within the AOC are situated on Quaternary alluvial fans along the edges of the Massifs of Bauges and Borne. 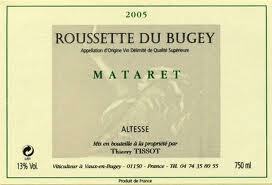 Today’s wine is a Roussette du Bugey produced by Thierry Tissot. Bugey wine is produced in the Bugey region in the Ain département of France, under the two VDQS designations Bugey and Roussette du Bugey. On May 28, 2009, INAO gave its final approval for the elevation of Bugey and Roussette du Bugey to Appellation d'Origine contrôlée (AOC) status. A high proportion of Bugey wine is white, but white, rosé, red and sparkling wines are all produced in Bugey. Bugey wines made from the aromatic white variety Altesse, locally called Roussette, are among the more noted from the area. Vineyards of the two Bugey appellations cover around 500 hectares (1,200 acres) spread over 67 communes in the department of Ain. Thierry Tissot is a producer at Vaux-en-Bugey, a quaint little village enclaved between two hills in the foothills of the Alps about 52 kilometers northeast of Lyon and roughly 40 kilometers southeast of Bourg-en-Bresse. A family property for 5 generations, this 5-hectare Domaine produces a few wines out of Jacquere, Chardonnay, Roussette, Mondeuse and Gamay. Roussette du Bugey "Coteaux de Mataret"
Mondeuse du Bugey "Coteaux de Mataret"
Thierry took over the Family Domaine in 2001, soon after receiving his Diploma of Oenologist. The local elders used to talk about the slopes of Mataret, saying that before the chestnut trees grew, the land produced wines of legend. It didn't take long for Thierry to clear 3 hectares part of the chestnut forest on the steep slope and plant 18000 vines of Roussette and Mondeuse. These vines are still young, but express already the complexity of the blue marl contained in the soil. A local from many generations and young father, entrepreneur and explorer, faithful and passionate, Thierry craft his wines with love, care and attention. He is a perfectionist, attached to details. Both wines under the name of Mataret, are produced from low yielding vines and grown pretty much organically. .
Roussette du Bugey "Mataret" is complex, with great minerality and ripe yellow fruit flavors, very good structure and texture and evident ageing potential (even for a white). Mondeuse du Bugey "Mataret" is bright, crisp, mineral, with racy red berries flavors. The grapes are fully destemmed and undergo semi Carbonic Maceration to maximize the fruit expression. Both resulting wines are always fine examples of what Bugey has to offer. Thierry Tissot is a producer to keep an eye on, as he is definitely an up-and-coming young and talented winemaker. Made from 100% Roussette, also called “Altesse” the most predominant indigenous white grape variety of Savoie, this is a wine of great character and flavor, with loads of minerality. Behind its light yellow-greenish color, the nose boasts aromas of slightly toasted hazelnut and dried fruit with blossom, floral hints. The palate of this mountainous wine unfolds with lemon zest and yellow fruit flavors intermingled with notes of sea brine, minerals and hay. The finish is very long and has touches of grapefruit, sherry, and more minerality. Versatile, crisp, coating, complex yet easy going, it will pair greatly with cheeses, fondue, pâté, and ham. 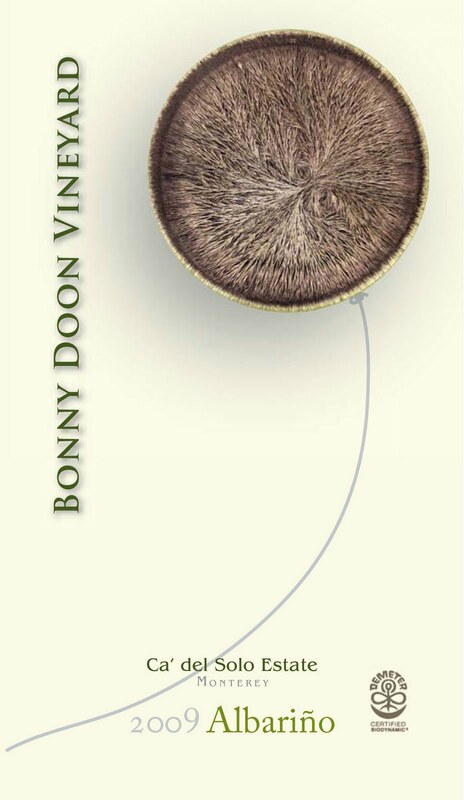 Who hasn’t read or taste or heard of Bonny Doon, or Randall Grahm the mad genius behind it, is in my opinion not a wine connoisseur! You didn’t? Well let me tell you how I first encountered his wines. It happened 14 years ago, when I was a young Sommelier in London. I was working in high standards private club that had one the best wine list that I can remember seeing in a restaurant. Despite all the best names and quite a few of the best vintages from France, Italy, Spain, Portugal, Germany, Australia and New Zealand, the wine list included some of the best wines from the US available in the Kingdom. And guess what? Bonny Doon Cigar Volant was part of it, but at the time I wasn’t acquainted at all with this wine or the man who produces it. The wine, adorned an intriguing old world old fashion label, representing a long ovoid shape floating above a wine estate with a ray of red light descending on the house and its surrounding vineyards; hence its name of “Cigar Volant” in reference of a flying soccer story. The wine had similar character to a Rhone wine, yet it was made in California and adorned riper fruit yet nearly identical earthy and Terroir oriented traits. The wine was first produced in 1984 and was released in 1986, a blend of Grenache, Mourvedre, Syrah, Carignan and Cinsault, it was an homage to Châteauneuf-du-Pape wines and the confirmation of Randall Grahm as an excellent winemaker, the start of a long story. And the rest is history. Bonny Doon Vineyards, and its proprietor, Randall Grahm, need no introduction. The winery focuses on Rhone varietal blends, adhering to strict biodynamic viticultural practices since 2004. The winery recently received Biodynamic® certification last month from Demeter for their 125 acre estate Ca’ del Solo vineyard in Soledad, Monterey County, and the winery. This strict three-year process eliminates all chemical fertilizers, pesticides, herbicides, hormones, fumigants and GMOs from the vineyard. Instead, traditional green vineyard practices such as composting, manuring, and the use of biodynamic preps, sprays and teas are employed to achieve a healthy level of soil and crop fertility in the growing environment. Randall Grahm is a vitizen of the world, a champion of the strange and the heterodox, of the ugly duckling grape varietals whose very existence is threatened by the dominant Cabo- and Chardocentric paradigms. He lives in Santa Cruz with his muse Chinshu, their daughter Amélie and his thesaurus. 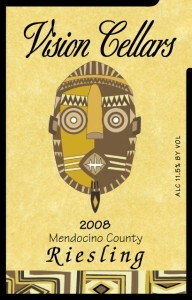 He makes about 15+ different wines from various grapes and viticultural regions of California. One of his many and latest creations that I enjoyed lately is his Albarino. Galicia, the Iberian playpen of albariño, loureiro and treixadura, could not be more different than Soledad, yet these varieties seem to be enjoying their extended siesta in the Salinas Valley. Where the Galician coast typically sees fifty inches of rainfall per year, Soledad is lucky to receive one-fifth that amount. A little fine-tuning of the viticultural practices however has been very successful. We have found that allowing a tad more shade on these Iberian varieties somehow mimics the Iberian climate and produces grapes with thinner skins – and thus lower phenolics – preserving delicate aromatics and finesse. This wine expresses a beautifully crystalline mineral aspect, great persistence on the palate, and a bracingly crisp, grapefruit, yuzu and tangerine dream. It is the perfect aperitif and wildly successful with Asian food or shellfish, the traditional Galician accompaniment. The vineyard in Soledad is located on the east side of the Salinas Valley at the base of Gabilan Mountain Range. The total planted area is 135 acres on a 160-acre parcel. It is the last area of cultivation one encounters moving east up the slope of the range. As such, it slopes modestly – 5-10% – particularly on the eastern third of the parcel. The majority of the land is composed of Chualar and Danville Sandy Clay Loam soil series – deep, well drained soils formed on alluvium fans of decomposed granite. A quick look on a map might lead one to believe this area is much hotter than is actually the case. This area is regularly visited by morning fog. While the wind does have a detailed case history of rendering the locals psychotic, it would do the Mistral proud. The climate is dry-as-a-bone to boot, seeing a bare 8” of rain per year. It is all in all a fairly low-vigor site which benefits markedly from progressive viticultural practices. 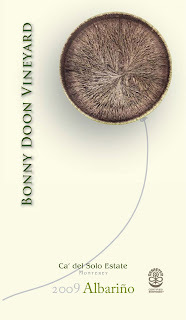 Bonny Doon began farming this vineyard biodynamically in early 2004. The degree and vitality of microbial and other life has increased dramatically in the soil in the past three years. Randall hypothesizes that, as a result, there is a much more complex spectrum of bio-available compounds for much healthier root systems to access. This rich Albariño, sourced from biodynamically grown grapes in the cool climate region of Monterey, is made with minimal intervention but a lot of care and attention, like all Randall wines. The nose opens with a beautiful note of honey, unfolding to reveal aromas of apricots, lemon blossoms and herbs. Clean mineral flavors on the palate give way to a plump, rich fruit in the midpalate that is balanced by bright, zippy acidity. This Albariño is a bit bit more gutsy than its Spanish couterpart, but Galicia wine lovers will definitely recognize similar attitude and structure, even if the fruit is a bit riper. Very well crafted, refreshing and racy, it will pair pleasantly with shellfish, grilled fish and Asian cuisine. Yesterday was a sad day for me, because I lost my grandfather on my father side. Although, something needs to be said, he just turned 100 years old last December. Yet, he had a pretty good run all these years and lasted in pretty good health until the end. I think that's beautiful. Quite incredible in fact, considering all the things that he has been through and more especially the overall evolution of mankind since 1910. What a Journey! It must have been mesmerizing. Rest in Peace Papa André. You've been loved and we'll miss you. Most of my Tasting Sessions notes are usually short and straight to the point as they reflect my initial thoughts and impressions about the tasted wines, and are not put into complete sentences (like my regular posts), as it is usually impossible during the tasting itself to write in sentences. Reading this Tasting Session will be like if you were in my head, with me, during the tasting. Also, like for my usual posts, I will only write about the wines that I loved during the tasting. No point to talk about the others, as the point of my blog is not to criticize or point finger, but to convey a positive message and relay the work of the producers and, with the longer posts, give you informative details about the wines, wineries and their Terroir of Origin (location, geography, history, climate, soil, exposure, grape varieties, etc..). It has been a long time since I've tasted the wines from Langdon Shiverick, but my rep. (Rachel) came the other day with 7 wines and I was pleasantly surprised by 3 of them. 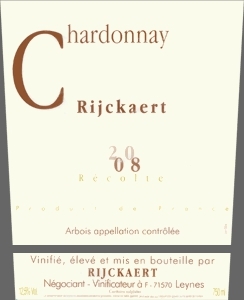 One of them was Rijckaert, one of the classic Jura wineries, and I was glad to taste it again. Clean, bright, crispy on the nose. Bright minerality, excellent texture, Chablis-like mouth-feel, crispy, very focus and refreshing. I love it as always. Very well crafted. Lovely, long, cleansing and mineral, citrusy finish. Tart in a good way. Lovely nose, floral, mineral, white fruit, blossom. Excellent texture and length, captivating acidity. Beautifully crafted. Citrusy, yellow fruit, peach on the finish. Love it. Very intriguing color somewhere between orange and garnet. Ham Iberico, dark aged prune, fig, nut, very complex and enticing nose. Earthy, bright, crisp, lovely, delicate texture, with cranberry and red cherry flavors intermingled with more Iberico ham and nutty hints. Different. A bit light. Esoteric, somewhat unusual, not your everyday stuff. Love it. Love Jura wines. The Judith Beck estate is based in the commune of Gols, in the Neusiedlersee region, on the eastern side of the Lake Neusiedl. Gols is part of the larger Burgenland region in easternmost Austria, with a very warm climate defined by the Pannonian plain and the Lake, whose temperatures reach 90 degrees in the summer and is only 1.5 meters deep. Indeed, this is the country's warmest wine growing area and the first to harvest. It is the center of the production of Austria's finest dry and full-bodied red wines. 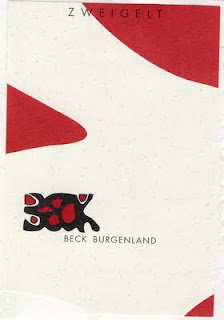 The family estate was founded in 1976 by Matthias and Christine Beck. 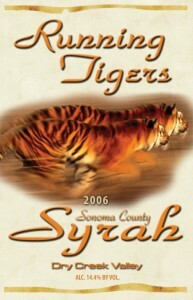 Their daughter, Judith, assumed full control of the winery in 2004, having made her first vintage in 2001. After graduating from the Klosterneuburg Viniculture College Judith Beck gained international experience at world-renowned wineries, including Château Cos d'Estournel in Bordeaux, Braida in Piedmont and Errazuriz in Chile. Managing the family winery comes naturally to Judith who has an innate “sixth-sense” for the regional varieties Zweigelt, Blaufränkisch and St. Laurent. Judith Beck owns a total of 13. 5 hectares of vines in Gols, with holdings in the vineyard sites Altenberg, Gabarinza, Salzberg and Schafleiten. 85% of the area is planted to red varieties - Blauer Zweigelt, Blaufränkisch, St. Laurent, Pinot Noir and Merlot, with the remaining 15% planted to white varieties - Welschriesling, Pinot Blanc and Chardonnay. In addition, grapes are brought in from another 5 hectares in the communes of Apetlon, Halbturn and Winden, and used in the production of the basic red wines. Vines are planted at high densities of up to 7,000 vines per hectare to limit yields and ensure ripe fruit at harvest time. Soils range from loam and clay on the lower vineyards to limestone, higher up on the ridges. The Becks built an impressive new production and aging cellar in 2005. It allows Judith to manipulate her wines as little as possible in the vinification process, resulting in wines of pure and vivid expression of the variety and unique vintage character. Judith Beck’s wines are at once elegant, powerful, complex and possess good aging potential. Judith and her father Matthias practiced sustainable viticulture from the outset, and converted to bio-dynamic practice with the 2007 vintage. She uses only native yeasts in the fermentation process. The Red wines are fermented in temperature-controlled stainless steel tanks, in new bariques or in open vats. The wines undergo malolactic fermentation in new barriques or in large oak barrels. Some of the red wines are also matured in large oak vats, some of which are quite old, and are already being used by the third generation of owners. The top-level Reds, including the St. Laurent Schafleiten, Pinot Noir, Pannobile Red (a blend of 55% Zweigelt, 35% Blaufränkisch, and 10% St. Laurent), Judith (50% Blaufränkisch, 30% St. Laurent, 20% Merlot) are fermented and matured in small barriques of which a small proportion is new each year. The estate is a member of the Pannobile association, as well as of “11 Frauen und ihre Weine” (11 Women and their Wines). Zweigelt is a red wine grape variety developed in 1922, at the Federal Institute for Viticulture and Pomology at Klosterneuburg, Austria, by Fritz Zweigelt. It was a crossing of Blaufränkisch and St. Laurent. It is now the most widely-grown red grape variety in Austria, as well as having some presence in Canada's vineyards. Totalizing 2500 cases, this wine is Beck’s largest single production. She picks from vineyard sites in Halbturn, Apetlon and Gols. The soils are sandy-limestone-gravel (Seewinkelschotter). Beck always uses natural yeasts for her fermentations, even for her largest production wine. The alcoholic fermentation takes place in stainless steel tanks and then the wine is moved to old, acacia casks for the malolactic fermentation. The wines rest for 8 months in these large casks until bottling, without fining. Judith Beck manipulates her wines as little as possible in the vinification process, resulting in wines of pure and vivid expression of the variety and unique vintage character. Her wines are at once elegant, powerful, complex and possess good aging potential. This 2009 Zweigelt, made according to bio-dynamic practices, is no exception to the rule. It presents a dark, inky ruby-purple color. 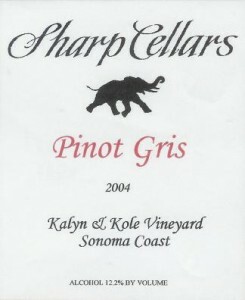 The nose is fruity with ripe dark cherry, mineral, earthy aromas. The palate is soft, gentle, generous, juicy with black cherry fruit and spicy, earthy notes. The finish is rather long and despite the ripeness of the fruit, fairly fresh and crispy due to excellent focus and acidity, and very interesting integrated tannic structure. I like it a lot. Like most Loire valley wines, Austrian wines are great room temperature, but can even be better slightly chilled, especially with high Summer temperatures. Versatile and friendly, it will accommodate a wide array of food from starter, main courses and cheeses. People seems to be still undecided about natural wines, whether they are Organic, Biodynamic, Sustainable, Lutte Raisonnée, etc... Most consumers are not certain if they like them or not, and although more people tend to gradually by some, knowingly and/or unknowingly, still a big majority do not understand, comprehend or simply like Natural wines. The reactions are often mixed and usually more negative than positive: doesn't taste good; not clean; not filtered; taste too earthy, like soil or dirt; too funky; and so on. It is understandable, because by the early 90s, when the green movement, led by the wine producers and winemakers of the old world, startled people by coming back to and using ancient, more naturally oriented methods in the vineyards and the cellars, driven by methods and technologies protective of the environment, most customers didn't fall for it because most wines were slightly faulty and unstable. Almost to the point of being undrinkable, but, at that time, it was almost a trend, like a novelty to find esoteric, faulty wines and translate their weirdness for some funky, earthy aromas and flavors that were supposed to be there, when in fact they were NOT supposed to be. It was fashionable to discover wines produced naturally with a minimum of chemicals, exhibiting faults, which were mostly due to unclean cellars, brettanomyces, volatile acidity, slight unwilling oxidation, badly harvested and sorted grapes, bad cork, and so on. And Natural wines kept that reputation for a long time in the eyes of the consumers. Organic on the label meant "Not Good", for years. Yet, the organic movement intensified, the methods were refined and better adapted, and the resulting wines tasted better and were more appealing to an increasing number of amateurs. Produced mainly by smaller, unknown producers, the press didn't pay so much attention at first. But, by the early 2000s, it became fashionable to be green and to protect the environment; therefore consumers looked at Natural wines with different eyes. Nearly 20 years later, something has to be said about natural wines, they are juicier and better than ever, and the following wine will prove you that Natural wines can even be excellent. Something that you may want to know is that a high percentage of western Europe producers (France, Italy, Spain, Germany, Switzerland and Portugal), are using Organic and Biodynamic methods. 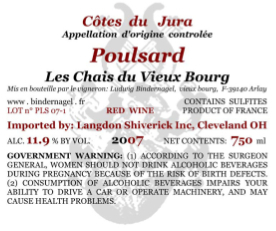 It is just not specified on the label, because to be fully "certified" requires a lot of check-ups and approvals from various organizations and acceptation from the "Appellation d'Origine Controlée" of origin, plus a lot papers and administration. Moreover, you can be 100% Organic, if you neighbor uses chemicals, you will never receive full certification due to proximity and contamination via the air and the soil. That is one of the main reasons why, most producers in the old world adopted the "Lutte Raisonnée" and "sustainable" methods, which are less strict and more adaptable to their needs in the vineyards and the cellar. In short, there are much more Natural wines on the shelves than one may think or believe. In any cases, the other thing that I wanted to bring your attention to is that we didn't invent anything! Natural wines made from Organic, Biodynamic and sustainable methods, are simply what our ancestors used to make, in more rudimentary cellars with less equipment and technologies, surely, however but very similar. I wrote it many times before in previous posts, but as I always say, Us, people of the 21st century, like to give specific, somewhat extravagant or scientific names to things that have always existed and have always been known by our grandfather and great-grandfather and before for centuries. Things that we seemed to have forgotten or simply ignored and just rediscovered, like Organic and Biodynamic methods. Organic, the ancestral way, means no use of any pesticides, herbicides, chemicals and non-organic fertilizers. Which was basically the way things were done before the first and more especially the second World War, when most chemicals, gas and other oil derivative products started to submerge and pollute the markets. Sustainable means partial and adapted used of products, as natural as possible, to conserve an ecological balance by avoiding depletion of natural resources. Lutte Raisonnée means partial and adapted used of products, sometimes chemicals, depending on the needs in the vineyards to treat bacteria and diseases. Biodynamic means enhancement of the soil and the overall health of the vines and their immediate surroundings and environment, by applying specific actions on certain days and periods of the year determined by a calendar, combining ancient traditions and "savoir-faire" with scientific methodology that encompasses the importance of the position of the stars, the moon and its effects like the tides, etc. Some of these actions consist in ploughing the soil, planting certain types of plants and flowers that will attract natural predators like insects and birds to recreate a favorable and natural environment within the rows of vines, thus naturally enhancing and reenforcing the complexity of the soil and the diversity of the fauna and flora. It is basically Organic method meets science and old knowledge, gathered in the early 1900s by some doctors and professors who were considered esoteric at the time, but became gurus and pioneers for all these so-called "avant-gardist" producers and winemakers, "nouveau vignerons" of the 21th century. We are basically retrograding, despite the help of newer technologies, to earlier times when Natural methods were simply part of the everyday routine and the result of centuries of "savoir-faire", skills and experiences passed-on from one generation to the next. As I was saying earlier, we didn't invent anything! We are just rediscovering what we've forgotten and ignored for more than 60 years, what used to be normal and everyday staff, before we spoiled the soil with chemicals and non natural fertilizers between the late 40s and the early 90s. Roughly about 50 years spent polluting and destroying the natural elements of the soil. At this time, just after the baby boom, productivity and cost efficient methods were more favorable than more labor intensive and somewhat costlier Natural methods, due to increasing demand from a world population that doubled in one generation of 30 years, 2 billions in 1920s to 4.5 billions in the mid 60s. Tractors and other machines replaced man's work. In between the rows, the soil was usually flat and not necessarily aerated or ploughed, no plants, no weeds, no flowers. The vines looked blue because of copper sulfate and other treatments, and the rare grass boasted a sick yellow color resulting of herbicides and pesticides use. In Europe, during the 50s til early 80s, most vines suffocated and over-produced. The wines were not that great, they often needed a little boost with riper grapes and juices from some of the southern other regions (and countries), especially during bad years. (but I will stop there because such a subject necessitates an entire post on its own). However and fortunately, things have changed and for the better since the early 90s. The world has listen to reason due to the gravity and the importance of the problems generated by such bad behavior and lack of understanding regarding the consequences toward our planet and all agricultural products. A tiny amount of people, too few still, but this is the beginning, are more adequately using Natural methods of culture and vinification, and are looking back in the past with better technology to provide a better future and aware the new generations. We have to preserve our earth by coming back to adequate and more natural ancient methods readopted with today's technologies and scientific progress. And when you think about it, we do not have to go back so far. Until not long ago, my grandfather on my mother-side, the farmer-winemaker, was spending most his time outside, 365 days a year, from dawn til dusk. He didn't need a book on Organic or Biodynamic farming, he was doing it naturally because for him, it has always been done that way. That was what he knew. In his vineyards, orchards and vegetable garden surrounding his house, he knew when to plant and when to harvest, how to read and follow the signs of nature, the rain, the sun, the birds, the insects, the animals, the water level in the well and in the soil, etc... It was instinctive and in perfect relation and understanding with Nature. He was growing pretty much everything in his garden from vegetable, to fruit, to plants, herbs and trees; and he had all sort of animals: rabbit, hen, birds, cats, dog, fish. He was recycling way before the word "recycling" existed, it was natural and part of his everyday life, even when he was working. He knew, simply by taking the time to pay attention to his surrounding and the environment, being aware, listen, see, think, learn, comprehend, understand, deduct, analyze and preserve... all these things that we have forgotten and that we shouldn't have. Fortunately, some of us, even if only a few, didn't forget and still apply these Natural methods in their everyday life. It is good to see that once again, grass, plants and flowers grow back in between the rows, and that insects and other animals once more swarm the soil of the vineyards. The green movement is still young, but we are getting there, cars using only electricity and compressed natural gas, with fewer emissions, already exist and are taking a toll on the oil. Natural energy sources like wind, water and sun are now more in use than ever before (and Germany is showing great example by shutting down all its Nuclear plants, did you ever think about all these nuclear waste that have been buried?). And there are so many other things to talk about in the air, underground and in the rivers, oceans and the seas. We need a change. We need to go back to more Natural process and methods in everything we do, plant, create, build and invent, with the consequences for environment, in mind, in the short and the long term. Let's evolve the right way, let's take example on those who are already doing it and let's follow this example. La Grange Tiphaine is definitely a great example to follow. La Grange Tiphaine was created at the end of the 19th century by Alfonse Delecheneau, followed by three generations: Adrien, Jackie and now Damien. Coralie, Damien’s wife, has now joined the family as a fully active partner in the life and work of the vineyard. Coralie and Damien Delecheneau work their 10 hectares with a horse, which is more natural for the soil and allows for natural fertilizer. Damien’s talent as a winemaker is evidenced by the multitude of beautifully balanced, elegant, precise red, white, rosé and sparkling wines that he crafts from five different varietals: Chenin blanc, Côt (Malbec), Gamay, Cabernet Franc, and even the ancient and rare Loire variety called Grolleau. The wines are in the AOCs of Touraine Amboise and Montlouis sur Loire. All certified Organic, the wines are all different: tender or round, fine or fruit filled, dry or sweet, but they all share the common thread of careful work in the vines that make for beautifully balanced, terroir driven, precise wines. This wine is a blend of 65% Cabernet Franc and 35% Côt (better known as Malbec in the Southwest of France and Argentina), from vineyards within the Montlouis Red Appellation, with vines averaging 60 years old, planted on clay and silica resting on limestone soil. In terms of vinification, this wine was fermented in concrete tanks, then aged in 225 L and 400 L used oak barrels without racking and only one light filtration before bottling to preserve the maximal quality of the aromas and flavors. Now, that is a great wine! It presents a dark ruby color. The nose is earthy and smoky with intense ripe dark berry and blackberry aromas, with earthy, slightly mineral hints. The palate is ripe, ample, generous, rich and coating, yet it possesses great focus and length with superbly enhancing acidity and integrated tannic structure, making it opulent yet balanced, soft, very well rounded and extremely enjoyable, with the right dose of crispiness and earthiness to keep it vibrant and remind you that it is an organic, Terroir oriented wine. The finish is complex and long and definitely calls for another glass. I love this wine. Drink it slightly chilled or room temperature, on his own or with food, no matter what you have to try this wine. This wine is one of the few quintessential examples and representations of what I love in wine and a very good answer to the question, why I have been doing this job of wine buyer for the past nearly 20 years. Only fifty years ago, it would have been impossible to think that people of color, which constitute mostly and wrongfully depicted minorities, could find there way and acquire their rightful rights in a world conquered, dominated and ruled by white people. They were, and still are irrevocably, victims of outrageous stereotypes, suffered unjust segregation, oppression and severe discrimination, and abused of their civil rights up until the 70-80s. However and fortunately, after more than 40 years of fighting for their rights, integration, acceptation and recognition, and thanks to many great personages along the way, like Martin Luther King, Jr. and more currently President Obama amongst many others, things have changed a little for the better. Today, amongst these minorities, it is important to note that more African-Americans can now have access and finally excel freely and rightfully in executive and determinant positions in our so called “civilized” society. The African-American society can be proud of what it has achieved in favor of all people of color in the United-States. The examples are endless and more African-Americans can everyday proudly rise and succeed, from Television, Radio, Music, Acting, Magazines, Art, Fashion, and all sort of other creative and executive jobs. Daily, they show their talents and prove that they are, if not equable for (still) way too many people, far better and high above than what they were wrongly and inappropriately depicted to be. They strived for years to finally gain the recognition they deserve. And that’s is a beautiful thing. It is the result of a fight that started nearly 500 years ago with the birth of the abolitionism. Abolitionism was, and still is, a movement to end slavery. In Western Europe and the Americas abolitionism was a movement to end the slave trade and set slaves free. At the behest of Dominican priest Bartolomé de las Casas who was shocked at the treatment of natives in the New World, Spain enacted the first European law abolishing colonial slavery in 1542, although it was not to last (to 1545). In the 17th century, Quaker and evangelical religious groups condemned it as un-Christian; in the 18th century, rationalist thinkers of the Enlightenment criticized it for violating the rights of man. Though anti-slavery sentiments were widespread by the late 18th century, they had little immediate effect on the centers of slavery: the West Indies, South America, and the Southern United States. The Somersett’s case in 1772 that emancipated slaves in England, helped launch the movement to abolish slavery. Pennsylvania passed An Act for the Gradual Abolition of Slavery in 1780. Britain banned the importation of African slaves in its colonies in 1807, and the United States followed in 1808. Britain abolished slavery throughout the British Empire with the Slavery Abolition Act 1833, the French colonies abolished it 15 years later, while slavery in the United States was abolished in 1865 with the 13th Amendment to the U.S. Constitution. However, I can hear you asking: what this has to do with wine? Well, although, and unfortunately, if African-Americans have finally succeed to be represented in almost every kinds of jobs, even to this day, agricultural land owners in the United States are often long established families or corporate companies, both mostly white, and only a handful of African-Americans succeeded to enter this jealously guarded and, historically talking, awfully marked territory (especially in the south). Yet, they are present and proud, pioneers for new generations. In the wine world, African-American owners, producers and winemakers are even fewer. Out of 900+ wineries in California, less than 10 are owned by African-American (as far as I could read in various articles). Therefore, they deserve our interest and attention. Yet, these very few producers experienced phenomenal growth across the nation, saleswise and recognition, since the beginning of this century, and should be mentioned more often by the regular and the wine press for the quality of the products they craft and their perseverance to pursue and realize their dream; to prove that there is room for everybody and that great winemaking, like anything else, isn’t a question of color, religion or race, but simply a matter of skill, experience, knowledge and savoir-faire with a little help from Mother Nature. Also, it is very important to have African-American vintners producing quality wines to open the door and invite the black American community to fully embrace the pleasure of tasting, appreciating and drinking wine, good wine, and not necessarily the sweet juice that they have been wrongly stereotyped to drink for years. Things have changed and evolved for the better, in the United States, regarding wine drinking, over the last decade; white Zinfandel, Manischewitz, Mateus, Lancers, Rashi and other “sweet” wines by the gallon are not in favor anymore. Mostly white people have always predominantly made wine, but here as well things have changed since the mid 90s. And anyway, after all, wine is a joyful thing that everybody should be able to produce or have access to; no restriction or wrong preconceived and misinterpreted ideas should stop that. Despite a few recent interesting articles (and videos) in local magazines and online, the subject of African-American vintners is rarely dealt about. Therefore, I’m proud to write this post, (my wife and kids being African-American, I have taken even more pleasure writing it) and to say that I bought for the store a few wines produced from a winery owned by an African-American family: Vision Cellars, led by its owner Mac McDonald; because they were very good and well crafted, not because they were a novelty or some kind of fashionable things to have in the store to show off. Here is a list of links for very interesting articles that I didn't write but that I invite you to read and discover about African-American vintners and producers and other things touching this post subject (courtesy of each article's owner). I hope that this post was helpful to discover new things about African-American vintners, producers and winemakers. The above links are only a few amongst many but I hope that, in addition to mine, they will inspire you to taste and appreciate these wines that you, may be, didn't know before. There are surely other wineries owned by African-American family in the United States, therefore I invite you to leave a comment after this post with the names of these other wineries to share with me and complement for others the above list, which is by no means exhaustive. Wow! It has been a very hot lately; somehow too hot for the season in my opinion, which will surely provoke massive drought for the next 4-5 months, if temperatures continue to rise like that. It is already happening in western Europe and certain US states. However, let’s think positive and appreciate the other things the Big Apple has to offer: loads of tourist, concerts in the park, BBQ in the garden or on the roof top, and plenty more, but more importantly cold drink like beers, white and rose wines but also chillable, friendly and versatile reds like Beaujolais. 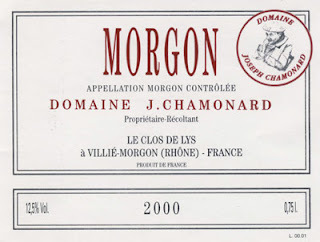 Having lived and worked amongst the “superstars” of Beaujolais, most of them his friends and neighbors, Joseph Chamonard had created a wonderful environment for his wines in Morgon, crafting traditional, earthy and hearty wines with great skills and attention. He practiced biodynamic/organic farming at some of its earliest mentions and only followed natural processes in the cellar. His “Clos de Lys” benefited for the unique community that shared and assisted each other for the forward progress of wine itself, if not for Gamay as a recognized noble varietal. On the hill of Morgon, his vines stayed healthy without chemical or fertilized assistance and rested in living soils. They remain that way today, alongside the packed earth and starved vines of the neighbor’s only steps away. Sadly, Joseph passed away in 1990, leaving his daughter Geneviève (and husband, Jean-Claude Chanudet) to carry on with the production and maintain the health of his 4-hectare parcels. Both have carried this mission through with each successive vintage since then, allowing for his name and his wines to perdure to these days. There are no chemical treatments, in or out of the vineyards. Harvest is done by hand, late in the season to obtain full natural ripeness and complexity. Only natural yeasts are used to start fermentations. And little is done along the process other than patient guidance to its natural end. It is wine made the traditional way with respect to nature. As some of the others of his era have recently passed on as well (Marcel Lapierre in 2010), there is a sense that the pattern set here in Beaujolais will be altered. With so much natural beauty remaining though, it will take more than a gang of four to do so. Afterall, it is now almost tradition. Three decades ago, Joseph Chamonard was a recognized Beaujolais producer part of a group of friends, amongst some of the best Beaujolais’ producers, including late Marcel Lapierre, Guy Breton, Jean-Paul Thévenet, Jean Foillard, and their mentor late Jules Chauvet. Unfortunately, Joseph Chamonard died in 1990. His daughter Geneviève, helped by her husband Jean-Claude Chanudet, continued making supple and fruit forward Beaujolais wine in the same old traditional way, walking in the steps of her father with combined Biodynamic-organic methods and respect for the natural environment. Recently imported by Savio Soares in New York, Chamonard’s wines were barely distributed outside of the local market and were apparently difficult to find even in Paris. 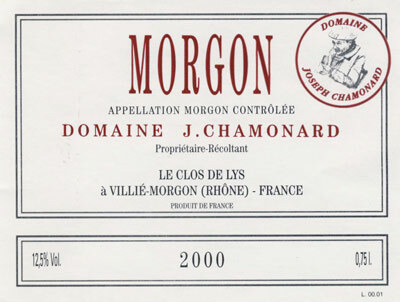 Now available in New York, Chamonard’s wines feature on the selection of some of the most established wine boutiques and restaurants, with one of the most expressive Morgon available in the New York market. The 2009 vintage has become a true classic in Beaujolais, and the 2009 Chamonard Morgon reveals the high quality of the vintage and the ripeness of the fruit topped with an attractive Terroir driven attitude. 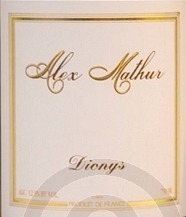 The nose is very fragrant, with straightforward aromas of light cherry and raspberry, and earthy notes. Light to medium in body, the wine is perfectly balanced between full fruit and lively acidity, with an earthy touch on the finish. Long, robust, a touch rustic yet so structured, ample and complex, this wine possesses the richness characteristic of the village of Morgon wines and great ageing potential. A bit tight just after opening, it needs at least 30 minutes of aeration or even decanting to fully express all its nuances. I have really enjoyed the last 3 vintages (2006, 07 and 08) and need to admit that the 2009 vintage is the one that reveals the most fruit, ripeness and length. In my opinion, I just bought more Beaujolais (from diverse producers) from this exceptional vintage and, if I may, I will certainly encourage you to do the same before the vintage runs out. However, if you can’t, it seems that 2010 shouldn’t be so bad either. Marqués de Murrieta is located in Logroño, the capital of Rioja, a city on the Ebro River roughly situated in the middle of the Rioja region, and part of the Rioja Alta. 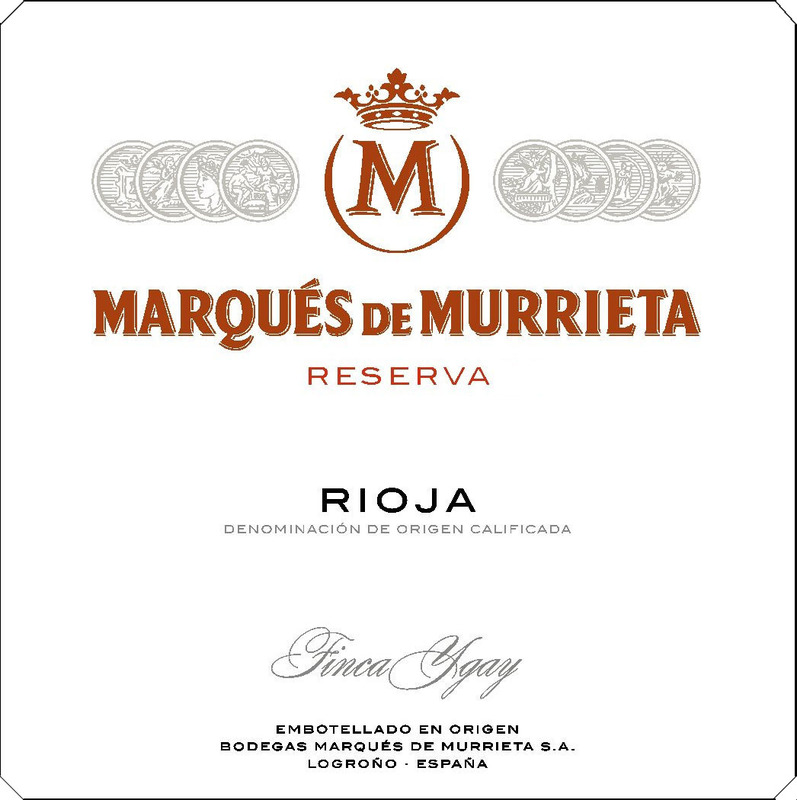 Marqués de Murrieta is named after Luciano de Murrieta, one of the founding fathers of modern Rioja winemaking, who established the estate in 1852 in the world-renowned Rioja region of Spain. Today V. Dalmau Cebrián-Sagarriga, Count of Creixell, leads the family-owned company. With a vision of innovation and respect for tradition, Marqués de Murrieta is rooted in strong, historical fundamentals that shape the vision and philosophy of this iconic Spanish brand. The winery is settled near the southern tip of the Rioja Alta in the middle of the beautiful “Ygay” Estate, a unique 300-hectare vineyard that guarantees complete control over the grape source of the wines and is the key to the quality and style of Marqués de Murrieta wines. The winery produces 5 wines available in the US market: Marqués de Murrieta Reserva, Capellanía White Reserva, Dalmau Reserva, Castillo Ygay and Pazo Barrantes Albariño. The personality and style of Marqués de Murrieta’s vineyards located between 420 meters to 500 meters above sea level of the 741-acre (300-hectare) Ygay Estate are expressed in a single wine: Marqués de Murrieta Reserva. Made from 84% Tempranillo, 13% Garnacha and 3% Mazuelo, this wine embodies ripe fruit qualities with a perfect balance of acidity and supple roundness on the palate, and a hint of new oak. It is a traditional Rioja with the classic Murrieta signature and enjoys all the benefits of modern winemaking philosophy, equipment and techniques. During harvest, which began September 16 and ended October 9, the grapes were picked manually and carried to the winery in small quantities. The grapes were first de-stemmed and then fermented in temperature-controlled stainless steel tanks for eight to 11 days with constant skin contact at 25º C. During fermentation the wine was both pumped over the cap of grape skins at the top of the tank (remontage) and the cap was pressed into the fermenting wine every second day (pigeage). Both those processes ensured maximum color and aroma without producing excessive tannin. Afterwards the solid parts of the grapes were pressed in vertical wooden presses with double screws. That process is a smooth and slow treatment that favors the extraction of the color and tannins that reside in the skin of the grapes. The resulting wine was then aged for 22 months in 225-liters oak barrels and spent about a year in bottle before release. 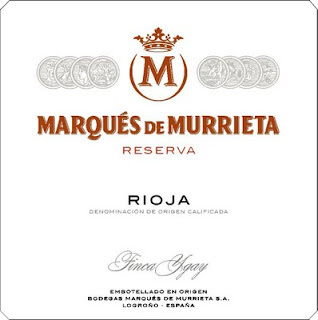 Although slightly tighter and less complex, in my opinion, than the 2004 vintage, which was a great vintage in Rioja like 2001, the 2005 Marqués de Murrieta Reserva is still a remarkable example of quality Rioja. Rich, opulent, oaky, young, earthy, balanced and attractive, the 2005 vintage possesses a good core of ripe fruit, focused acidity and an excellent tannic structure, which should confer to this wine great ageing potential. However, if you cannot wait, make sure to decant it at least 45 minutes before serving it. Pair it with grilled lamb and other red meats; it needs something substantial to chew on. Love it. Marqués de Murrieta has been making classic style Rioja wines since 1852 and continues to be one of the leading wineries of this region. Their most distinguished wine, Castillo Ygay Gran Reserva Especial is always a complex and elegant classic. 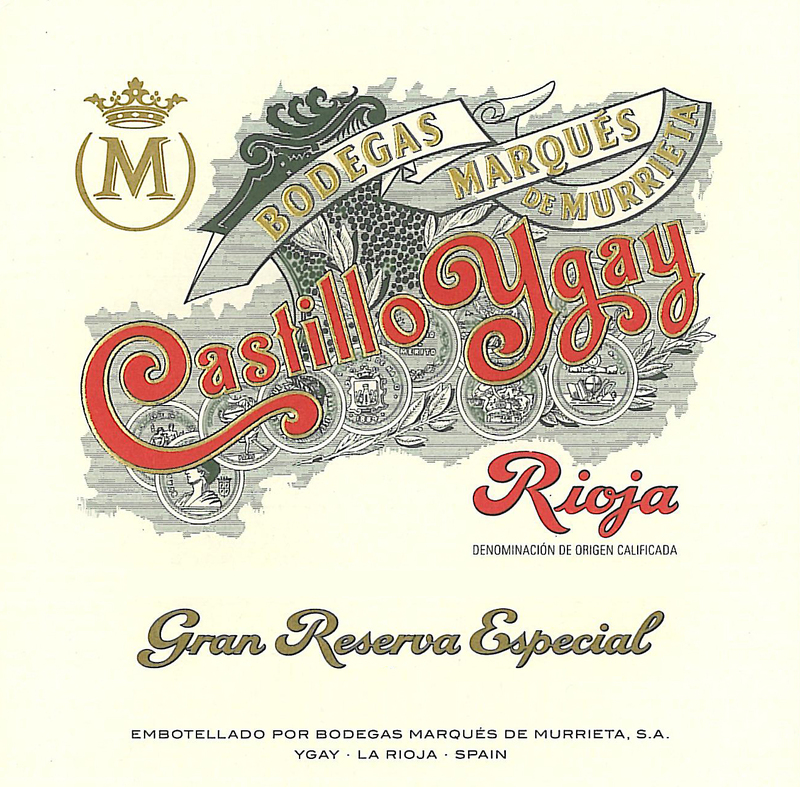 Only the finest vintages from the 741-acre (300-hectare) Ygay Estate are used to make Castillo Ygay. Limited in production and sought after all over the world, and easily recognizable with the emblematic Castillo Ygay label, this wine is surely one of the best young Rioja wines that I tasted recently. This Gran Reserva Especial is made from 93% Tempranillo and 7% Mazuelo from vineyards located at 500 meters above sea level with great exposure. During the harvest, which took place October 6 to 10, the grapes were harvested by hand and immediately taken to the winery. The grapes were first carefully de-stemmed and squeezed and then fermented in temperature-controlled stainless steel tanks for 11 to 15 days with daily remontage and pigeage processes to help develop the wine’s personality. Both these processes ensured maximum color and aroma without producing excessive tannin. Then the wine was aged for 31 months in 225-liter American oak barrels and spent another 14 months resting in the bottle before release. From the excellent 2001 vintage in Rioja, "Castillo Ygay", a Reserva Especial cuvée made in a Gran Reserva style, is dense and smooth, complex, rich, balanced and very subtle. Ripe red cherry, oak, spice, forest floor and floral aromas resume the nose. On the palate, it expresses flavors of dark berry and red cherry intermingled with hints of spice, earth and cider oak with integrated vanilla oak touch. The elegant mid-palate has a great acidity elevating the juiciness of the fruit and carrying it until the long-lasting dry finish. Very young yet expressive and approachable with great tannic structure and a lot ageing potential, it is a keeper. Highly recommended. One of my personal Rioja favorites, with Lopez de Heredia, CVNE, Muga, Sierra Cantabria, San Vicente, Marqués de Riscal, Bodegas Riojanas, La Rioja Alta, Remirez de Ganuza, El Coto and a few more.